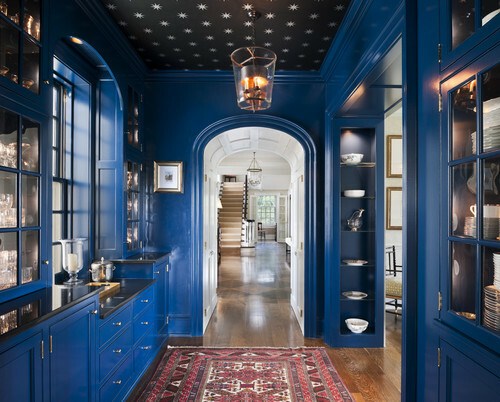 If you are like me, you were always told that you have to paint a dark room a light color. Well, we were told wrong! Go darker and richer in a dark room, and a stunning result will be yours. Just a little tidbit I learned when I went through True Colour Expert Training. Repeat after me: “A light color will never come to life in a dark room.” (Thank you, Maria Killam!) (click on Maria’s name to link to her site). Traditional Hall design by Philadelphia Architect Archer & Buchanan Architecture, Ltd. 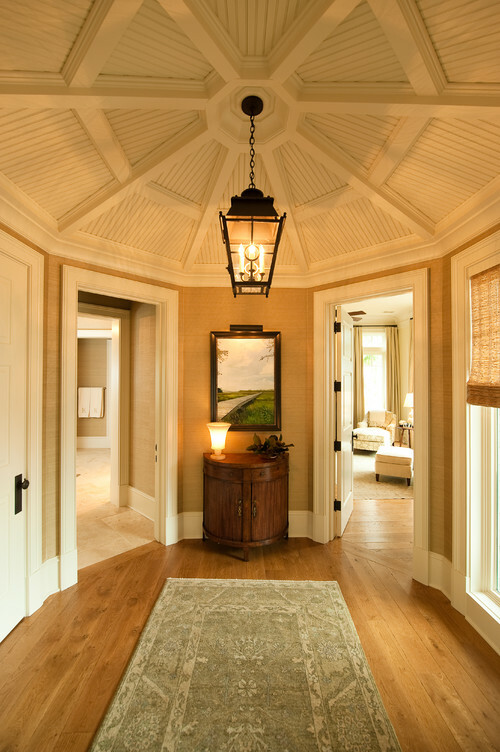 Traditional Hall design by Charleston Design-build Solaris Inc. This entry was posted on September 12, 2012 by Ellen at Color Calling. It was filed under Residential styling . Yes, Carol Anne, completely agree. Thanks for the comment.